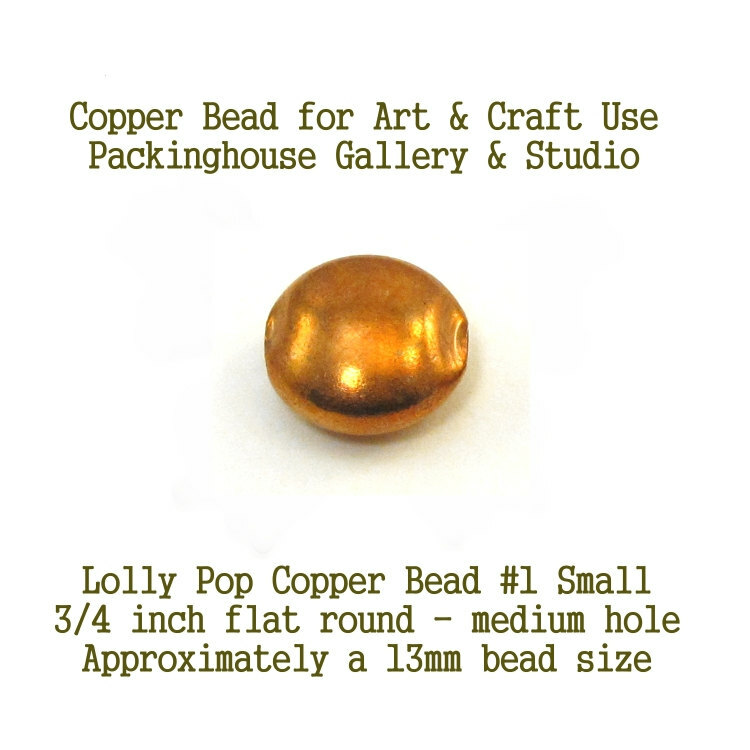 Copper Enamel Lolly Pop Bead Small Size for Torch Fired Enamel and Glass Artist Metal Type = Copper Size = 3/4 flat round Approximately Bead Size = 13mm These copper pieces or blanks as they are called can be used to embellish many items. 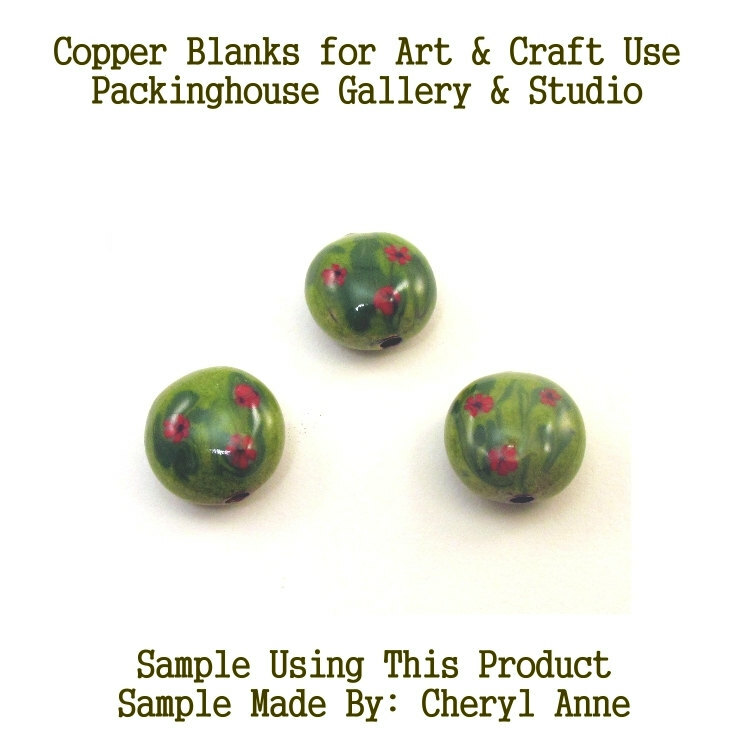 You can use them as they are for beads or you can use them along with your glass or enamels on your torch to create stunning beads. 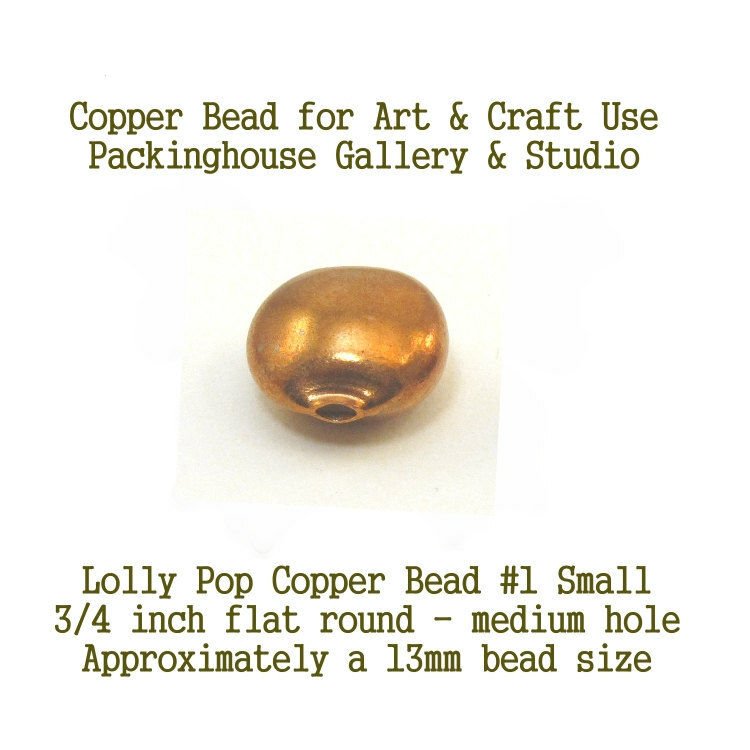 The copper beads can be used as earring beads, bracelet beads or necklace beads. This bead is a flat round bead. Which works nicely with showing off techniques or designs. 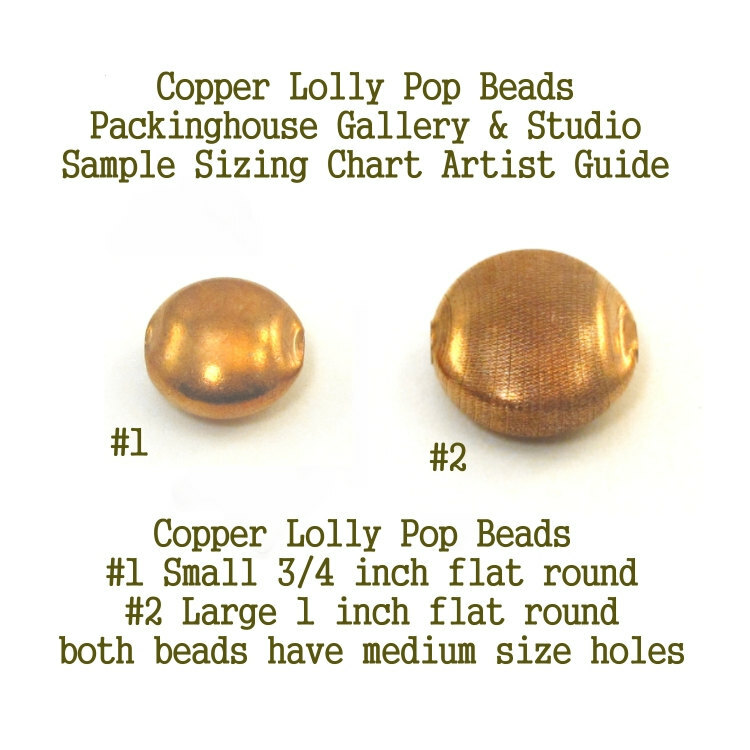 We currently offer our copper beads in qualities of 1, 4, and 10. You save money when you order the 10 piece quantity. All our items come from a smoke free, perfume free environment. We love show casing our customers work. 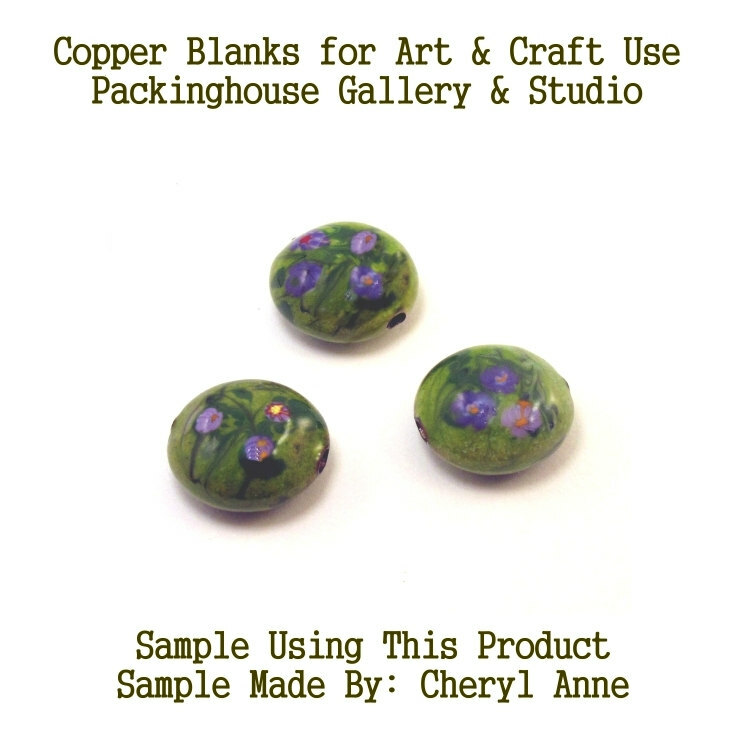 If you have ordered from us and have a favorite piece using our tools or supplies, please send me a photo of your finished piece and I will highlight your work. Thank you for your business.